Project Zero Three claims success by setting new altitude record for a wheelchair user! All pictures upon this web site, or any of it's own link pages, are the sole property of C.A.S.C and copyright laws apply. Anyone wishing to use the photographs, for whatever the reason, must first request permission from us via the project email address as given below. With two bereavements, one, which was that of a very close family friend towards the end of 2001, another, my brother at the break of the new year '02, an enforced postponement of the original targeted date of September ‘02 was to become somewhat inevitable and this, unfortunately, also included the crucial elements of publicity and fundraising. The postponement period was to become further prolonged due to the mountain of work commitments, which included power-lifting coaching duties at the 2002 Commonwealth Games and then again at the World Championships in Kuala Lumpur. My sincere apologies go out to those companies who have waited so patiently for their company logo’s to be sported upon these very long promised new web pages. 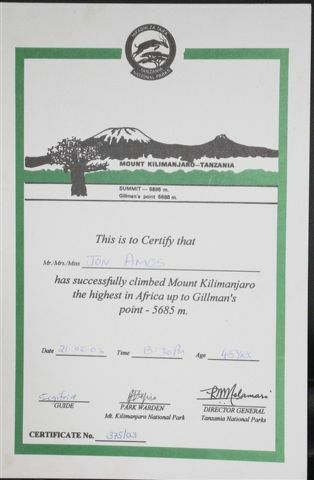 In 1998, two years after originally ascending the very rocky Great Gable and starting off the new exciting event of wheelchair mountaineering, Jon Amos, who was left paraplegic after a major road traffic accident in 1976, made a decision to make an attempt on the summit Mt Kilimanjaro - primarily known as a 'trekking mountain' - if you are on your legs that is! Due to many factors the first attempt only succeeded in reaching just over 16,000ft. With the many lessons learnt from that original experience and having hand-cycled across Australia in the meantime, Project Zero Three 'The Roof of Africa on Wheels Revisited' is about to take place. 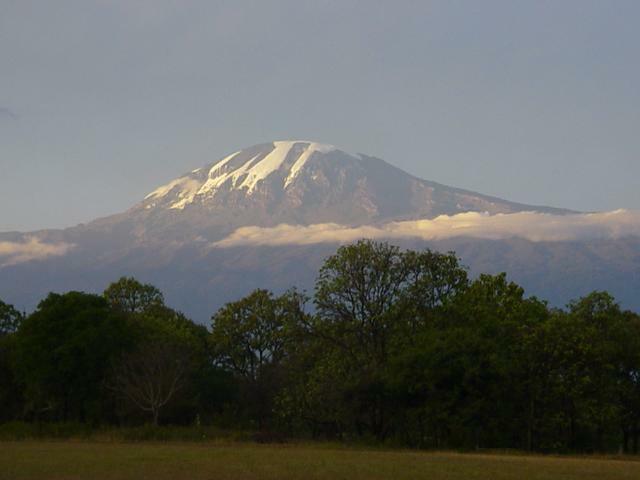 As they were in 1998, Jon and his support team are being hosted by Keiron White who is the headmaster of the Moshi Campus of the International school of Moshi and Jon will endeavour to keep these pages up to date as regular as it is possible to do so. Jon will also be available, whenever reasonably possible, by satellite telephone between 6:45pm and 8:45pm (+3hrs GMT) on 00 871 763 451 31 and in between that via the following email link......... roof_of_africa_on_wheels@blueyonder.co.uk In case of difficulty contact c.a.s.c@blueyonder.co.uk and they will have the latest update.